March 27, 2015 Apryl A.
Dr. Alexander was interviewed by STM Learning, Inc. about her expertise in working with both victims and offenders. Read the newsletter here. Our lab ventured out to sunny, warm San Diego for the American Psychology-Law Society (AP-LS) Annual Conference. Dr. Alexander presented on the topic of Disproportionate Minority Contact in the Juvenile Justice System. 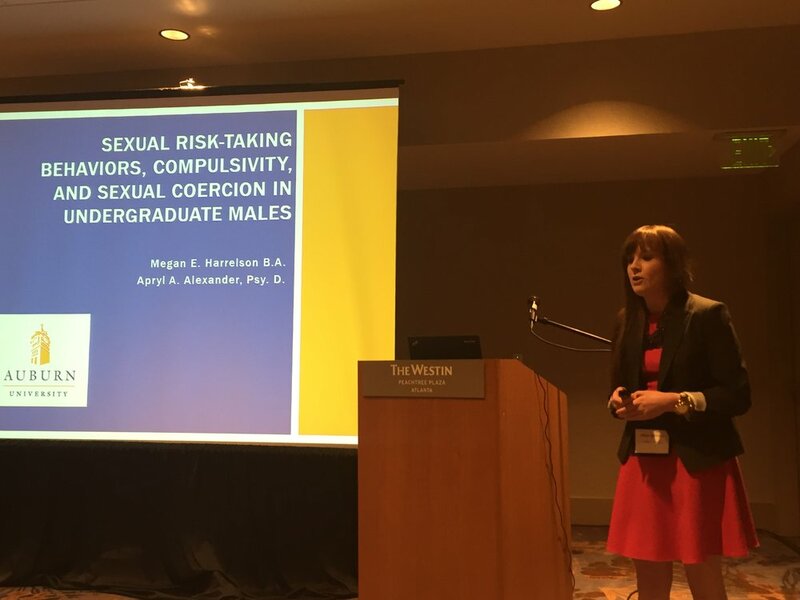 It was graduate student Megan Harrelson's first national conference presentation and she did a fantastic job! 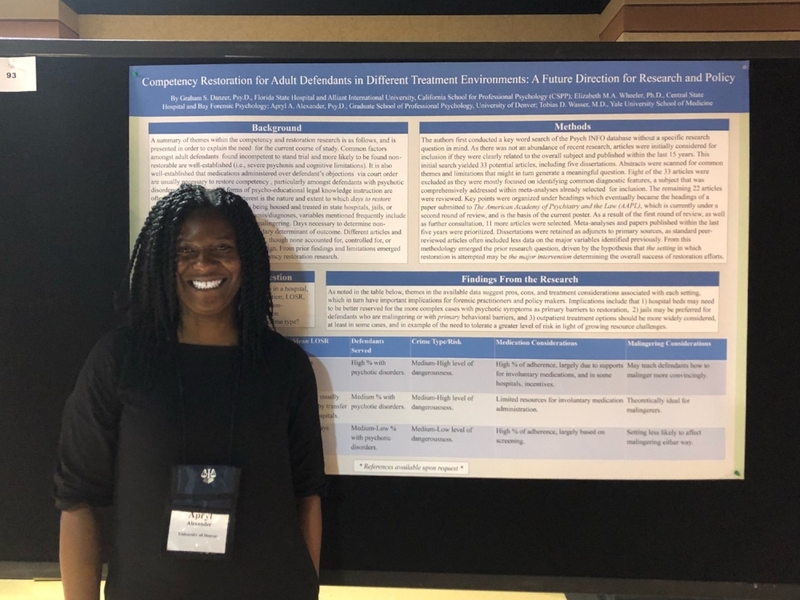 While in San Diego, former research assistant Lacy Kantra (now a first-year PhD student at University of South Alabama) represented our lab by presenting a paper entitled, Psychopathy, Intelligence and Offense Type in Detained Adolescents, at the Southeastern Psychological Association (SEPA) Annual Conference in Hilton Head, SC. Her presentation was nominated for a outstanding student paper award and received great feedback!